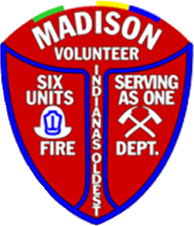 This web page is dedicated to our volunteer firefighter members of Walnut Street Fire Company No. 4. We will post various firefighting training videos to refresh your memory as well as introduce new firefighting training methods and techniques. We will also offer some of your required firefighting training materials on this page when possible. Fire Company No. 4 members can also read and download various firefighter forms and related reading materials on the Training Documents page. And, you can view “What Happens When Things Go Wrong” on the Lessons Learned Page. To get started on some of the firefighting training techniques, view the brief videos on this page. They are nice refreshers. Fire Rescue in Mass. Apartment Bld. If you can’t see the video above, click here to view Fire Rescue in Massachusetts Apartment Bld. Rescuing Residents in Mass. Apartment Bld. If you can’t see the video above, click here to view Rescuing Residents. If you can’t see the video above, click here to view Description of Rescue. If you can’t see the video above, click here to view Opening a Roof. If you have a firefighting training video you’d like to share, please bring it to our next meeting or email it to contact@firecompany4.com.